On August 4, 2016, the same day I received my new Sangean DT-160CL, I popped a fresh set of CVS Max Alkaline batteries into the DT-160CL as well as into my trusted Sony SRF-39FP. The mission? 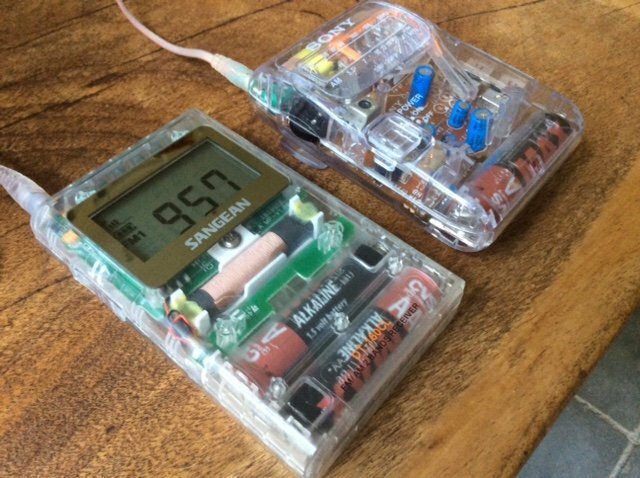 To see which radio could perform longest on a set of batteries. 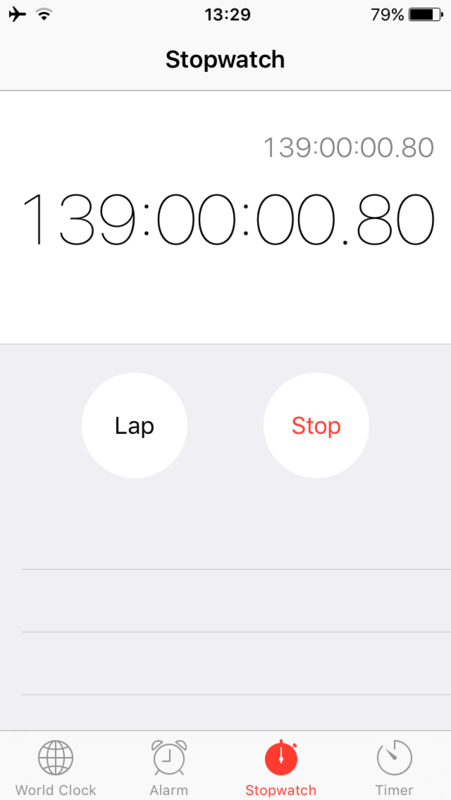 I set my stopwatch as I turned on both radios, tuned to the same frequency, set the volume to the same levels…and waited. And waited. And waited. And as I waited, I posted updates. But at last, the waiting is at an end: here are the contest’s final results. On August 9, I reported that the Sangean DT-160CL finally threw in the towel, logging an impressive 116 hours 30 minutes of operating time–! Without a doubt, this is one of the longest run times I’ve ever experienced from an AM/FM radio with digital display. Interestingly, the day after the DT-160CL shut down, I turned it back on, and it operated for an additional 45 minutes or so, obviously absorbing a little more voltage from rested cells. During that 45 minutes period of time, the audio and overall performance was respectable. No doubt the DT-160 shuts down before audio is terribly compromised. Sony SRF-39FP: The Endurance King! 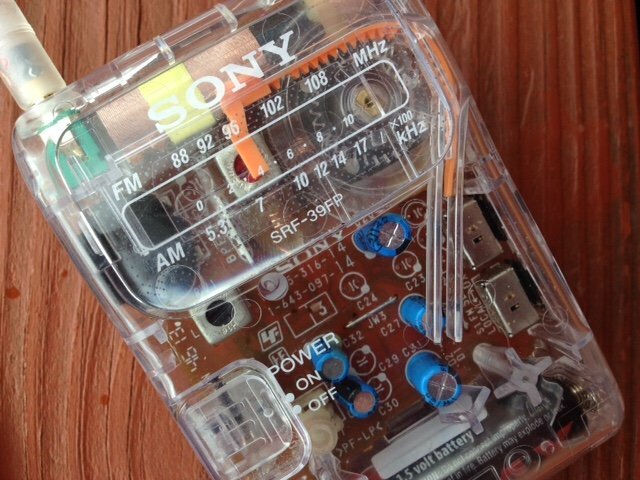 By Wednesday morning–one full week from the time I began the endurance contest–the Sony SRF-39FP finally began showing signs of low-voltage: the audio had a small amount of splatter and sensitivity began to be compromised. Unlike the Sangean DT-160CL, which clearly has a cut-off voltage, the SRF-39FP kept milking the battery for its last vestiges of power. I decided that I would call a “time of death” for this AA battery when the Sony struggled to receive local AM stations, as well as transmission from my in-house SStran AM transmitter. This happened approximately 163 hours and 54 minutes into its marathon run. 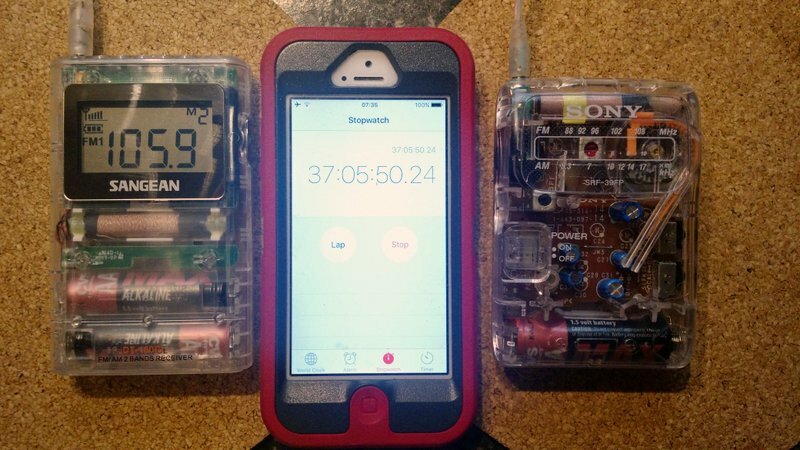 This stopwatch app tracked the full endurance test. I pressed “stop” when the Sony SRF-39FP finally gave up. Wow, wow, wow. I simply had no idea any portable could operate almost one full week on one AA cell–! With an advanced chemistry cell like the Duracell Quantum or Energizer Advanced Lithium series, you’ll clearly get three to four times that performance. And here’s the thing: I’m convinced I could’ve gotten much more time out of the SRF-39FP. Like similar Sony portables, the SRF-39FP has a “DX/Local” switch. When set to DX, the receiver is made to deliver maximum performance. If you’re listening to a local station, however, “Local” mode is a better choice. You’ll still be able to receive your target station, yet draw much less from the battery. I left the Sony SRF-39FP in “DX” mode for the entire battery endurance test. Had it been in “Local” mode, I believe I’d be reporting an even longer run time. How much longer, I don’t know, but you can bet that my curiosity will soon get the best of me…I plan to do a separate endurance test to find out. No doubt, our little test has proven that radios marketed to the prison system do offer excellent battery performance. 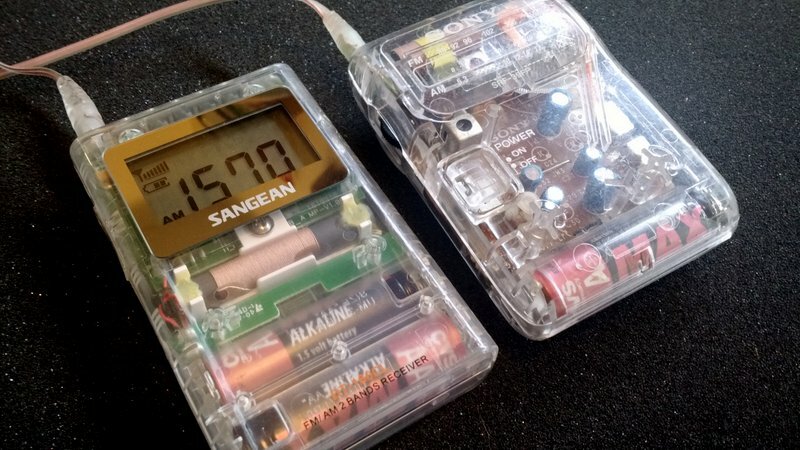 Now I’m very curious whether the standard Sangean DT-160 will offer the same battery performance as its clear-cased counterpart, the DT-160CL. The only difference in the two appears to be that one offers a clock, while the other doesn’t. I wonder if that would have any significant difference on battery life. Additionally, the Sony SRF-39FP has shown us that analog receivers can be much more efficient than their digital counterparts. 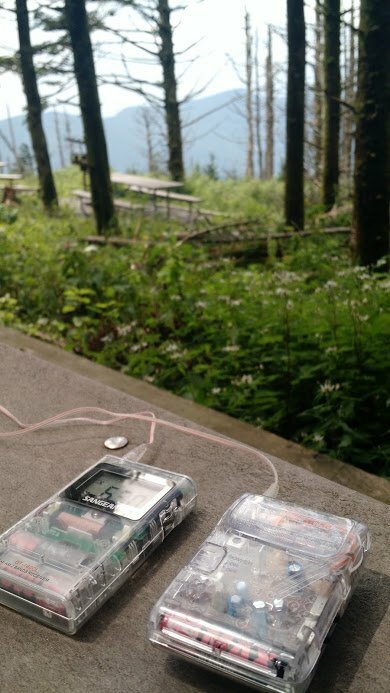 We’ve known this a long time at Ears To Our World, and which is why almost all of the radios we supply to schools in remote, rural locations are analog. Sadly, analog radios are getting much more difficult to find these days as DSP-based receivers have become more affordable to produce. The Sangean DT-160 is available at Amazon.com and Universal Radio. The Sangean DT-160CL (the version tested) is available through Amazon. Click here to search eBay for the Sony SRF-39FP. 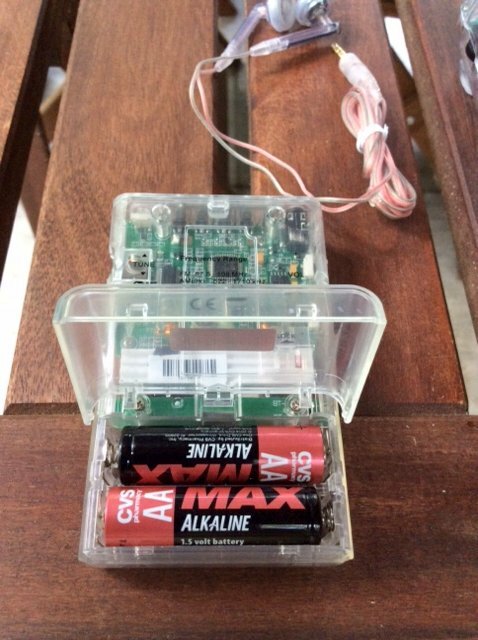 Readers: Know of any other battery-miser radios? Please comment! This entry was posted in AM, FM, News, Reviews and tagged Sangean, Sangean DT-160 CL Unboxing, Sangean DT-160CL, Sangean DT-160CL v Sony SRF-39FP, Sony, Sony SRF-39FP, SRF-39FP on August 21, 2016 by Thomas. If you’ve been following the Sangean DT-160CL versus Sony SRF-39FP battery endurance test, I have some news to report: one of our competitors has finally thrown in the towel…! Yesterday, while I was on the road for about 1.5 hours, the Sangean DT-160CL at last gave up the contest. Since I was traveling at the time, I can’t say with absolute certainty what o’clock the DT-160 cried uncle––but roughly, we’re looking at 116 hours, 30 minutes of run time, give or take 30 minutes. 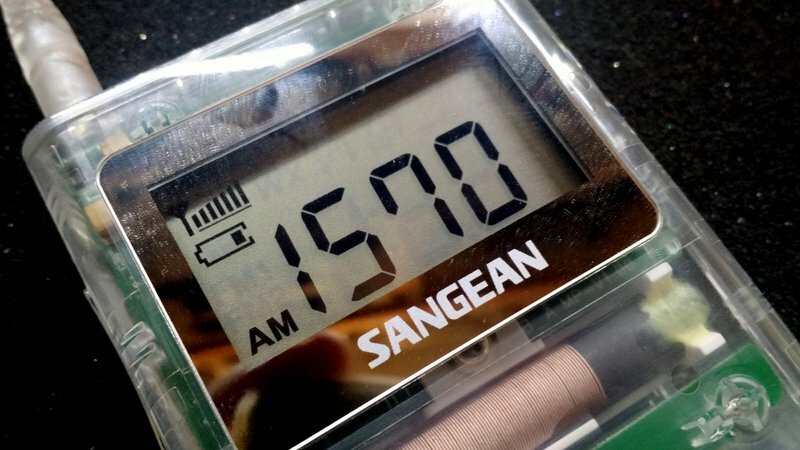 Sangean claims the DT-160 series will operate for 100 hours with two AA batteries. That claim is obviously pretty conservative. Though I used CVS Max Alkaline batteries (a generic version of Duracell’s Quantum batteries)–an improvement on the standard alkaline battery–I set the volume higher than I believe Sangean or Sony would have set it for testing purposes. This should have drained the batteries faster. The radios were also tuned to a variety of stations: weak AM, strong AM, weak FM and strong FM. In short: I’m very impressed with the DT-160. A 116 hour play time from two AA cells on a digitally-tuned receiver is, well, pretty incredible. Now that the endurance test is over for the DT-160CL, I’ll replace the batteries with a fresh set of CVS Max Alkaline cells and start testing the AM/FM receiver performance. …And how about the Sony SRF-39FP? 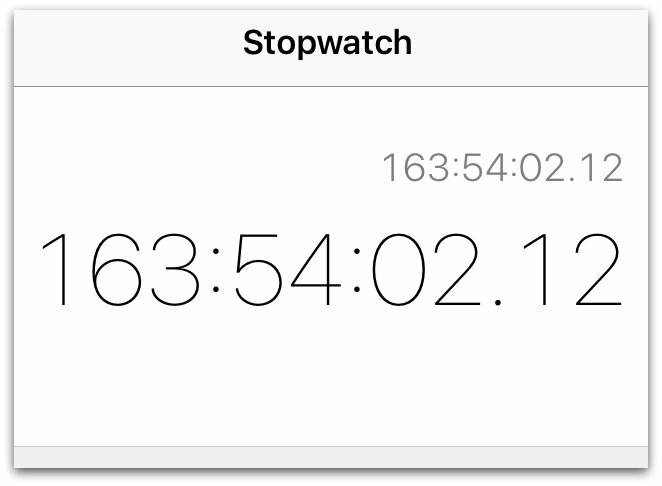 My iPhone’s stopwatch has been tracking progress since last Wednesday. Even more amazingly, the Sony SRF-39FP is still going strong––! I actually fell asleep last night listening to the SRF-39FP and woke up this morning with music still in my ears. What a champ! So, how long has the Sony SRF-39FP now been operating on one AA battery? At time of posting, this little Sony’s clocked one hundred thirty nine hours. Though I’ve always known that the SRF-39FP was a true battery miser–one of the reasons it’s been a choice radio in the prison system–I had no idea it could operate this long on one battery. Of course, I’ll continue tracking the Sony SRF-39FP. How much longer will the SRF-39FP last? Stay tuned to find out! Follow this review thread by bookmarking the following tag: Sangean DT-160CL v Sony SRF-39FP. This entry was posted in AM, FM, News, Radios, Reviews and tagged Sangean, Sangean DT-160 CL Unboxing, Sangean DT-160CL, Sangean DT-160CL v Sony SRF-39FP, Sony, Sony SRF-39FP, SRF-39FP on August 9, 2016 by Thomas. 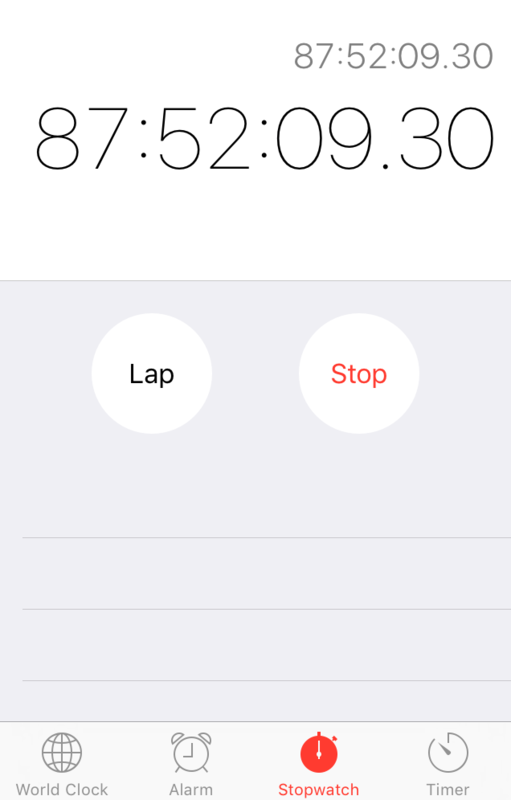 My iPhone’s stopwatch has been tracking the endurance test. 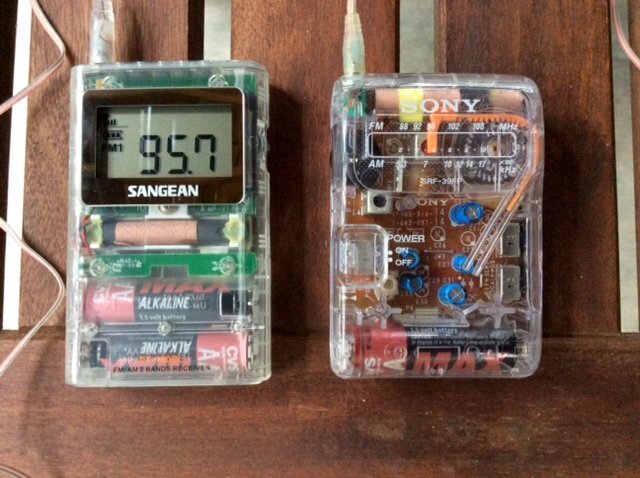 It’s been one hundred nine hours since I started the Sangean DT-160CL versus Sony SRF-39FP battery endurance test and both radio are still hanging in there! Not knowing which radio will check out first, I’ve been taking them with me everywhere and have been careful to keep their settings identical the whole time. Last night, I even prepared my Zoom H2N digital recorder to monitor both radios simultaneously. Having passed 100 hours of operating on the same set of batteries, I was certain one would call it quits last night. There was one noticeable change this morning: the Sangean DT-160CL’s battery indicator now shows a depleted cell. It’s still operating, though–no noticeable difference in volume and reception. The end must certainly be near! Indeed, it’s hard to believe I started this endurance test last Wednesday! I’m very interested to see which pocket radio will go first. Yesterday, I spent the better part of the afternoon at Mt. Mitchell State Park. Of course, I brought the DT-160CL and SRF-39FP along. Mt. Mitchell is the highest point east of the Mississippi river. It’s a great place to play radio. At one point, I tuned both radios to WAIZ 630 kHz: a 1,000 watt AM station about 95 miles east of the park. It’s one of my benchmark daytime stations from Mt. Mitchell. Though most DT-160 reviewers have given the receiver low marks for AM performance, I found that the DT-160CL did a better job locking onto WAIZ than the venerable SRF-39FP. Perhaps this is due to the fact that both radios, at that point, were operating on low voltage? Or perhaps the CL version of the DT-160 series has better AGC characteristics and sensitivity? I doubt the latter assumption, but once the endurance test is complete, I’ll put the 160CL through the paces. This entry was posted in AM, FM, News, Radios, Reviews and tagged Mount Mitchell, Sangean, Sangean DT-160 CL Unboxing, Sangean DT-160CL, Sangean DT-160CL v Sony SRF-39FP, Sony, Sony SRF-39FP, SRF-39FP on August 8, 2016 by Thomas. It’s been eighty seven (!!!) hours since I started the Sangean DT-160CL versus Sony SRF-39FP endurance test and both radio are still going strong. 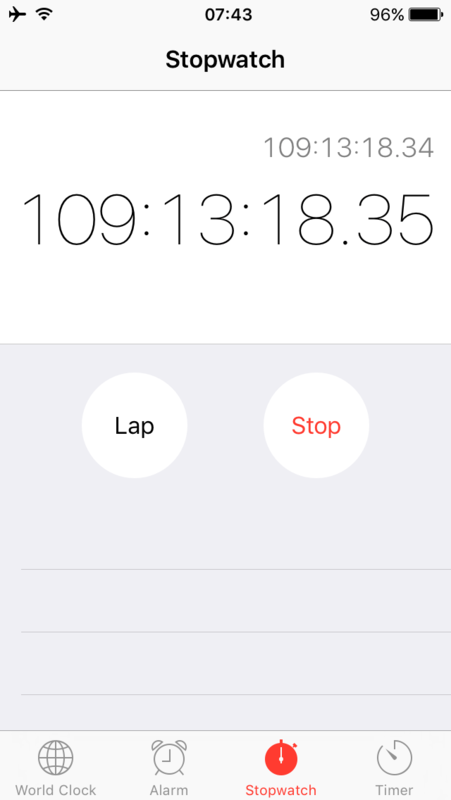 My iPhone stopwatch has been tracking the test. I’ve tuned both radios to my SSTran AMT3000 AM transmitter which is currently re-broadcasting the UK 1940s Radio Station on 1570 kHz. 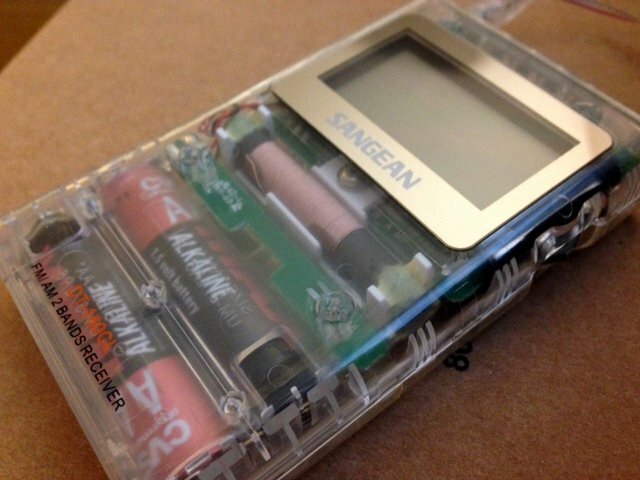 The Sangean DT-160CL still shows two of three segments on the battery indicator (see above). The Sony SRF-39FP seems to have no indication of quitting anytime soon–it’s still sensitive and audio sounds great. I believe the Sony SRF-39FP is rated for 80 hours of playtime, and I’m sure if I had turned it on and off numerous times during the test, it might have had an impact on battery performance. It’s still going strong, though. I am using advanced alkaline (CVS Brand) batteries in both radios. These should give each radio better battery life than standard alkaline or rechargeables. 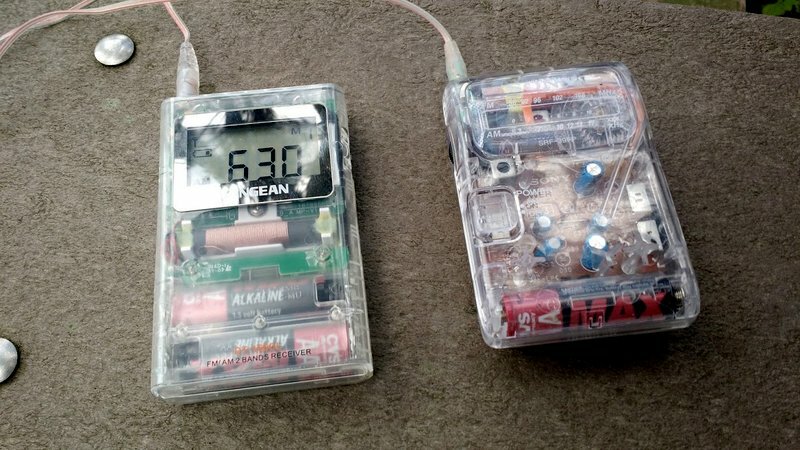 Regardless which radio wins this test: both have already proved themselves “Holy Grail” battery misers! I’ll be monitoring the radios very closely today as we pass the 90 and 100 hour mark! UPDATE: Shortly after making this post–at almost exactly 88 hours and 30 minutes into the test–the Sangean DT160CL’s battery indicator lost a battery indicator segment. It’s now only showing one of three battery segments. Could the end be near for our DT-160CL? Stay tuned! This entry was posted in AM, FM, New Products, News, Radios, Reviews and tagged Sangean, Sangean DT-160 CL Unboxing, Sangean DT-160CL, Sangean DT-160CL v Sony SRF-39FP, Sony, Sony SRF-39FP, SRF-39FP on August 7, 2016 by Thomas. It’s been thirty seven hours since I started the Sangean DT-160CL versus Sony SRF-39FP endurance test and both radio are still going strong. So far, the DT-160CL’s battery indicator still shows full voltage. The SRF-39FP has no battery indicator, but through experience I know it’s nowhere close to quitting. I’ve spent some time tuning both radios and comparing them on mediumwave/AM and FM. The DT-160CL does an amazing job on the FM band and has a definite edge on the SRF-39FP. On AM, however, the SRF-39FP seems to wipe the floor with the DT-160CL. In truth, though, it’s tough to evaluate performance and audio while the endurance test is ongoing, so I should reserve judgement. During the battery endurance test, I’m using the supplied earbuds from both radios. The Sangean’s earbuds a fairly large and uncomfortable in the ear–they make the audio sound hollow and too focused on mid-range tones. In truth it’s pretty much the same thing for the 39FP’s buds. I can’t wait to use some of my proper in-ear buds on the DT-160CL and evaluate its audio characteristics on AM and FM. 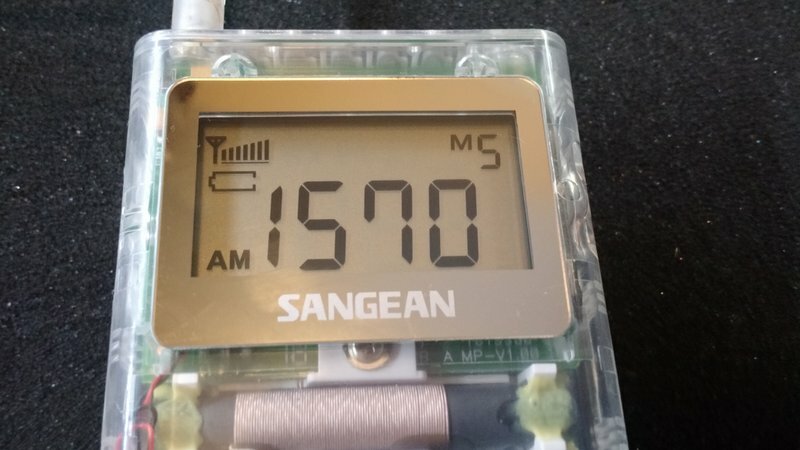 This entry was posted in AM, FM, Mediumwave, News, Radios and tagged Sangean, Sangean DT-160 CL Unboxing, Sangean DT-160CL, Sangean DT-160CL v Sony SRF-39FP, Sony, Sony SRF-39FP, SRF-39FP on August 5, 2016 by Thomas.